Tap Forms can perform two kinds of searches. 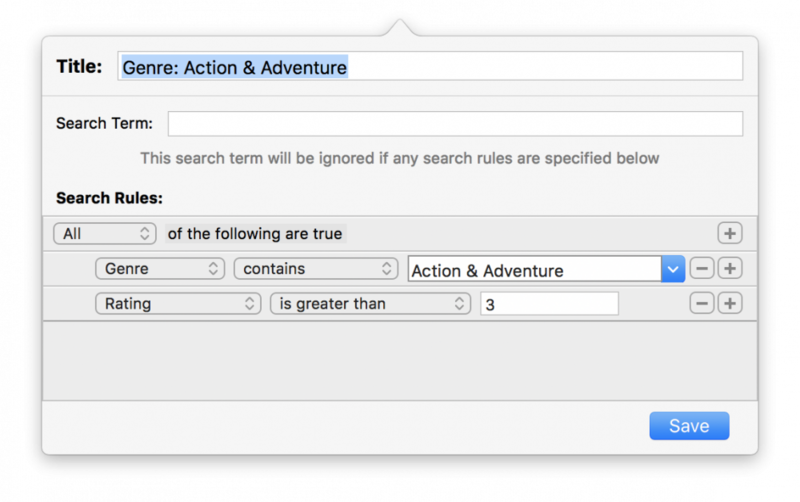 Search across all text and number fields in a form by using a simple search term. Create one or more Saved Searches which target specific fields for filtering your records. After you type in a search term, a bar will appear below the Search field with a Save button. Click the Save button to save the search. Tap Forms will display the search beneath the form on the left side of the window. For more advanced searches, click the filter button to the left of the Search field. Tap Forms will display the advanced search popover where you can add Search Rules which target your search to specific fields. Click the + button to the right of a Search Rule to add a new Search Rule. *When you add multiple Search Rules, Tap Forms will combine each rule together to reduce the number of records returned from the search. So the more Search Rules you add, the fewer records will be returned. Click the All popup button and change it to Any if you’d like to expand the search results list by adding more search rules. *You can also use an OR search between terms within the same value when using the contains operator. For example Move Tile contains Terminator OR Hunger. You would put just Terminator OR Hunger into the search term field to accomplish this. The OR must be in uppercase. Click the Save button to save your search. To delete a Saved Search, select your search, then right-click on it and select the Delete Search option. Or select it and then select the Delete Search menu item from the Forms menu. Make sure the forms list on the left is visible or you won’t be able to right-click on the Saved Search as it won’t be visible. To set a different sort order for a Saved Search than the default sort order set on your Form, with your Saved Search selected, click on the Form button in the toolbar to display the Form Inspector Panel. Then change the First, Second, Third, and Group Records By settings to how you would like your records sorted just for that search. When you switch to a different search or to the main form itself, Tap Forms will switch the sorting to reflect the settings for those items.